Studio City International Holdings Ltd – the entity that controls the Studio City casino resort in Macau’s Cotai district – has taken the first step toward a potential initial public offering (IPO) in the United States. A Hong Kong-based brokerage however says a potential IPO “does not make much sense” at this stage in the development of the property (pictured). 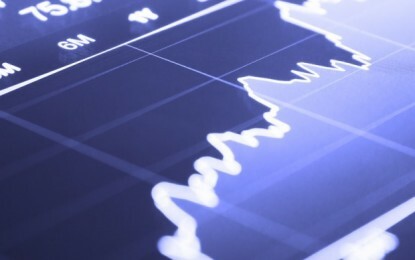 Studio City International Holdings “submitted on a confidential basis to the U.S. Securities and Exchange Commission a draft registration statement for a possible IPO of American Depositary Shares (ADSs) representing ordinary shares of Studio City International Holdings,” the firm said in a Monday press release. Macau-based casino operator Melco Resorts and Entertainment Ltd has a stake of 60 percent in Studio City International Holdings. The remaining 40 percent are held by New Cotai Holdings LLC, an entity controlled by United States-based investment firms Silver Point Capital LP and Oaktree Capital Management LP. Melco Resorts is already listed in the U.S., namely on Nasdaq, in New York. In its Monday release, Studio City International Holdings said that “the proposed IPO is expected to commence as market conditions permit”, pendant compliance with regulatory requirements. Analysts Vitaly Umansky and Zhen Gong proposed two potential reasons for the operation: “New Cotai is looking to sell and wants a price validation” and/or “there may be pressure to begin work on Phase 2 [of Studio City and] New Cotai likely does not want to put in new capital into the property”. In December a spokesperson for Studio City’s majority owner told GGRAsia that the firm was “still in the early stages of planning” the development of the “remaining one-third” of the land plot on which the venue was built. The Sanford Bernstein team noted that “the IPO, if it were to happen, does not make much sense to us at this stage (from the perspective of Melco Resorts)”. The two analysts noted it would create additional complexity to the organisational structure of the gaming operator, “a company which is already complicated by Macau standards”. Fitch Ratings Inc stated in a September 2016 note that the most likely outcome for Studio City was for Melco Resorts to buy out New Cotai. “Studio City’s performance would likely be optimised if it were wholly owned by Melco Resorts due to the greater flexibility in marketing and table allocation,” Alex Bumazhny, Fitch’s senior director for gaming, lodging and leisure, said at the time. Questioned about the matter in a June 2016 interview, the chairman and chief executive of Melco Resorts, Lawrence Ho Yau Lung, said he was in “no rush” to buy out the minority partners in Studio City. That was because of a gap in valuation expectations between the two parties, he stated at the time. Studio City – a US$3.2-billion, 2015 addition to Macau’s roster of mega resorts – includes a collaboration between Hollywood studio Warner Bros and American comic book publisher DC Comics regarding a virtual reality ride called ‘Batman Dark Flight’. The property also has a distinctive figure of eight Ferris wheel. For the quarter ended June 30, Studio City’s net revenue was US$332.1 million compared to US$183.8 million in the prior-year period. Studio City generated second-quarter adjusted property earnings before interest, taxation, depreciation and amortisation (EBITDA) of US$80.7 million compared to US$24.6 million in the prior-year period. The year-on-year improvement was “primarily a result of commencement of rolling chip operations in November 2016 and better performance in the mass market table games segment,” said Melco Resorts in its latest results announcement, filed in late July. Rolling chip volume totalled US$4.7 billion for second quarter 2017. The rolling chip win rate was 3.3 percent. The Studio City scheme has had a chequered history, with the project being mothballed for several years after an original set of investors failed to agree on funding in the aftermath of the global financial crisis that began in 2007. 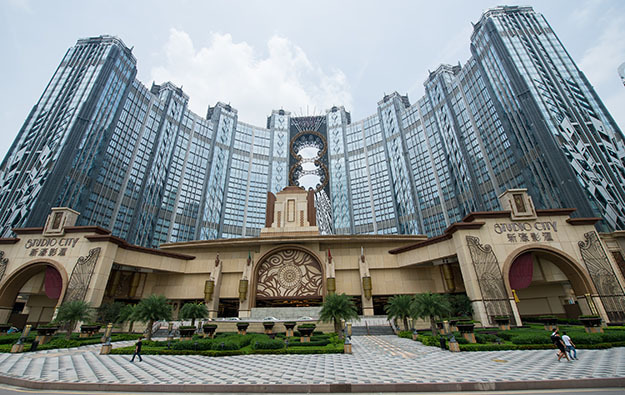 In 2011, Melco Resorts paid US$360 million to take a 60-percent interest in the project, joining forces with a bloc of existing Studio City investors in the form of New Cotai.